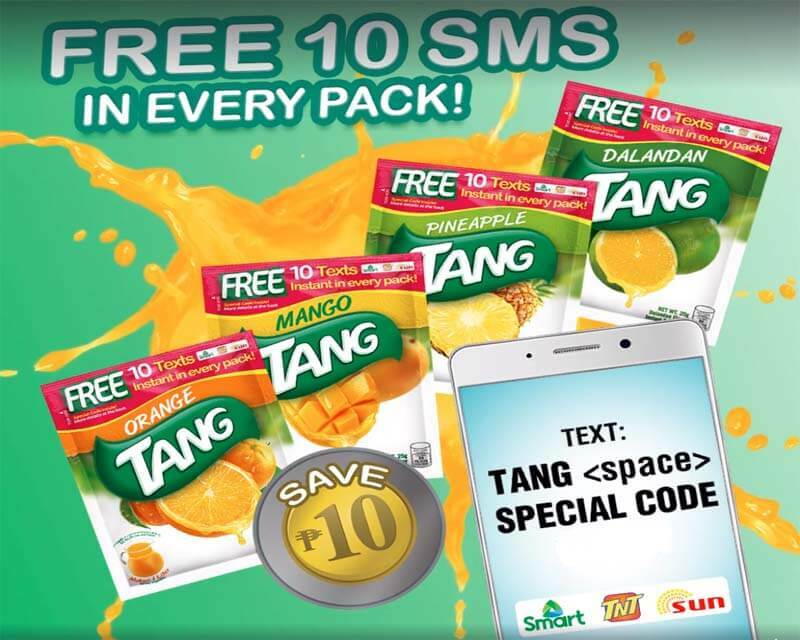 Tang Philippines is giving away free SMS texts to Smart, Sun Cellular and Talk N Text when you buy specially marked Tang Orange, Pineapple, Mango, and Dalandan litro packs. Just redeem by texting the special code that you can find in every pack using any of the three mobile network partners SIM. You can save your 10 pesos if you are of the lucky winner of this promo. Promo runs from April 1 to July 31, 2018 and redemption of codes is until August 15, 2018. Just text TANG (space) SPECIAL CODE to 8989 for SMART/TNT/SUN subscribers. An SMS notification will be sent to your account after you successfully redeem the free texts. You can also visit the Tang Philippines Facebook page for more giveaways and latest promos.